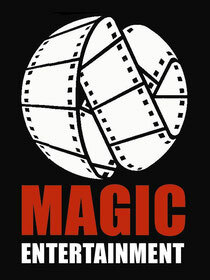 Welcome to the Magic Entertainment website (the “Site”) which is maintained for your personal entertainment, information, education, and communication. Please feel free to browse the Site. You may download material displayed on the Site for non-commercial, personal use only provided you also retain all copyright and other proprietary notices contained on the materials. You may not, however, distribute, modify, transmit, reuse, re-post, or use the content of the Site for public or commercial purposes, including the text, images, audio, and video without Magic Entertainment's written permission.